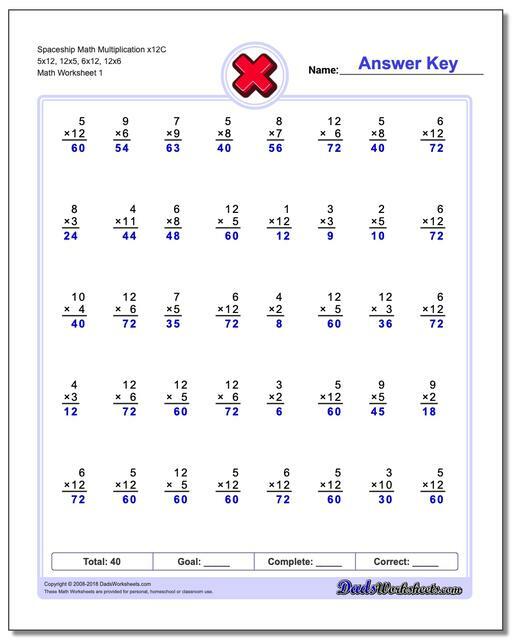 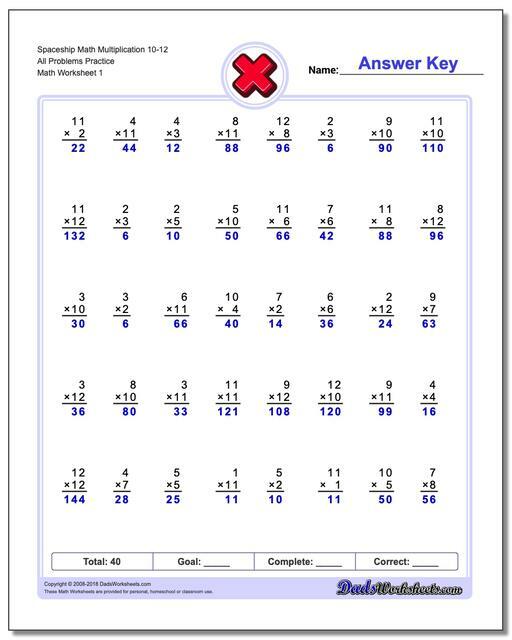 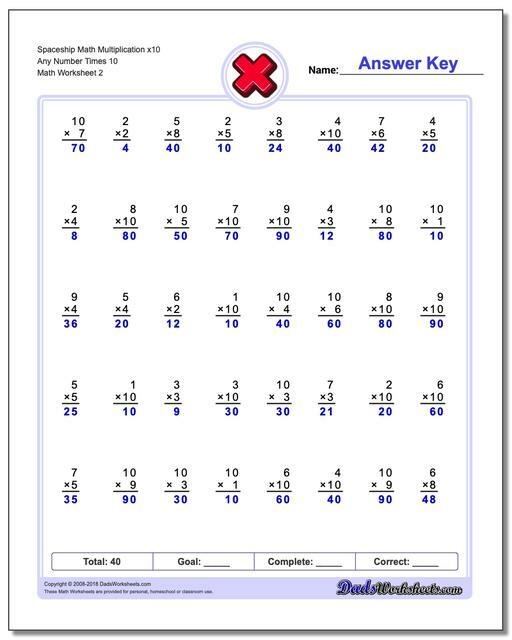 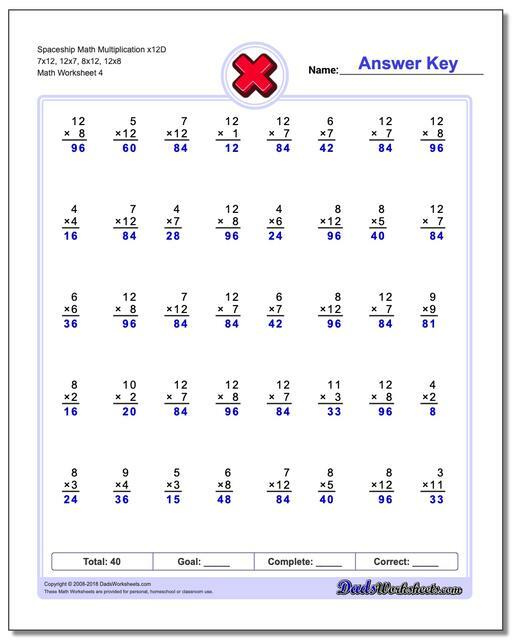 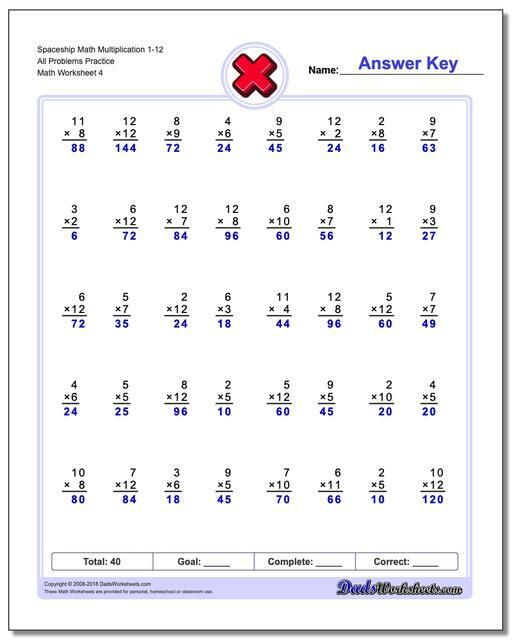 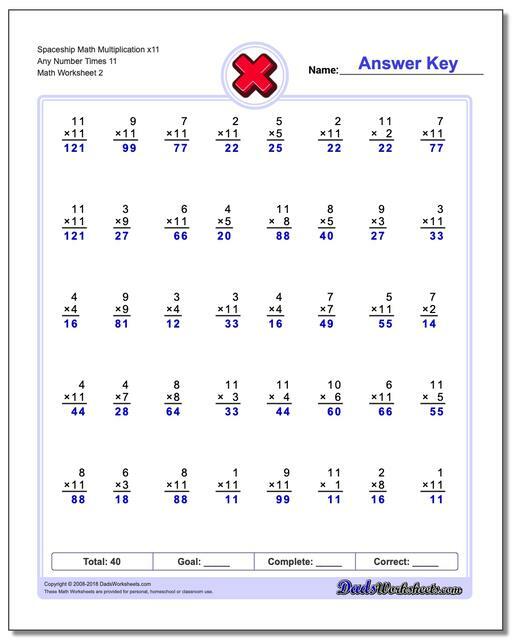 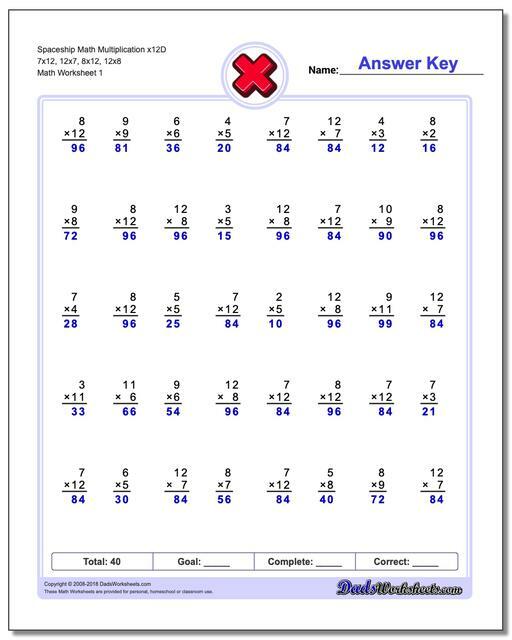 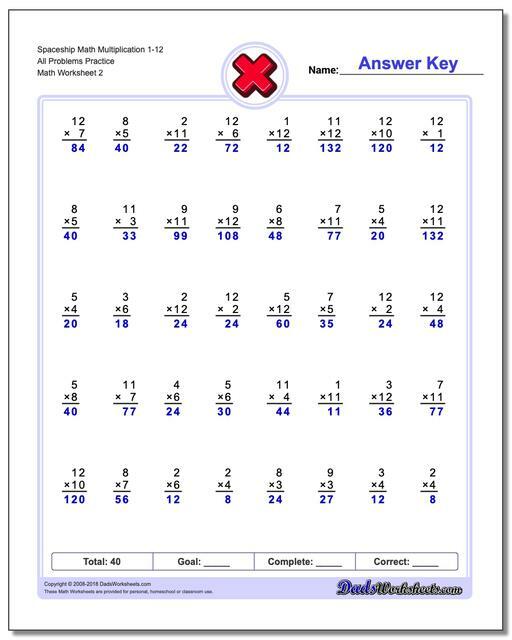 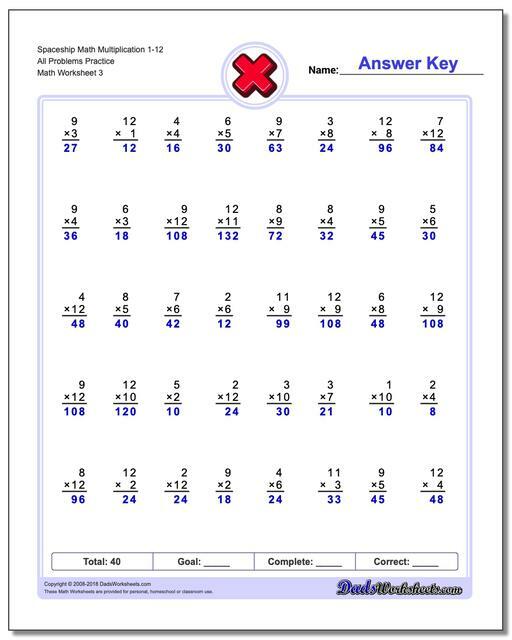 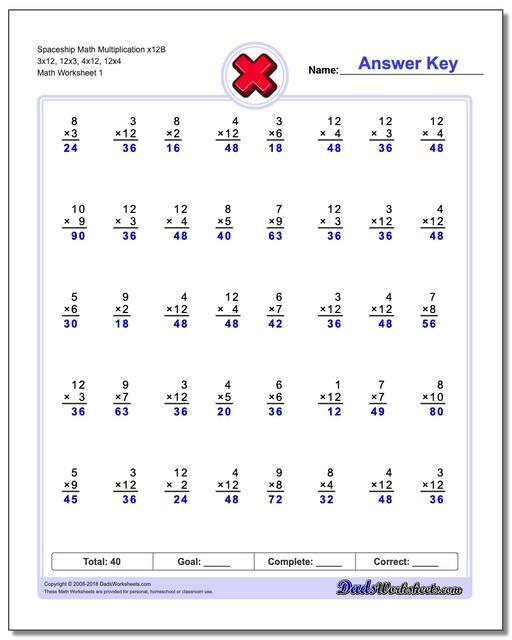 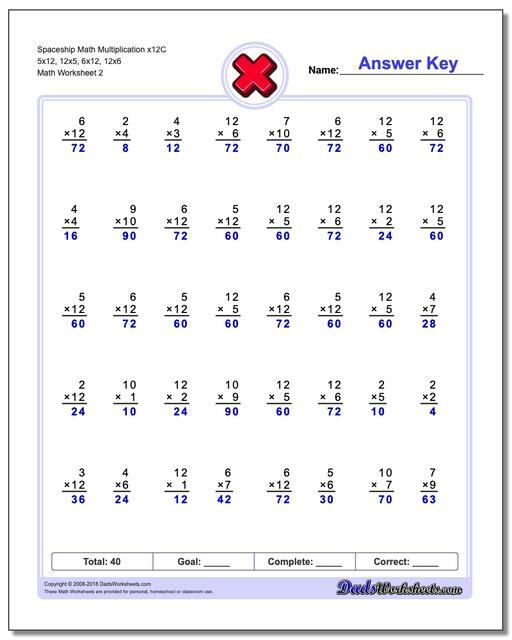 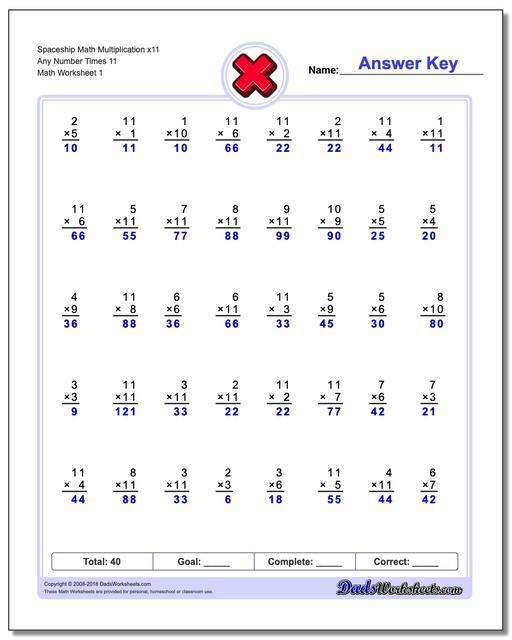 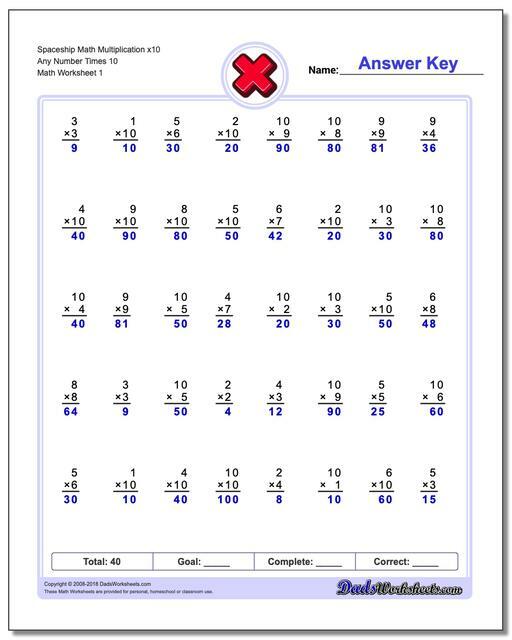 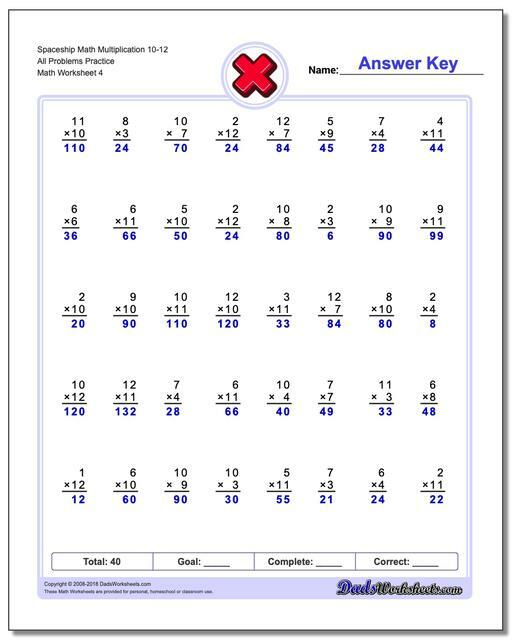 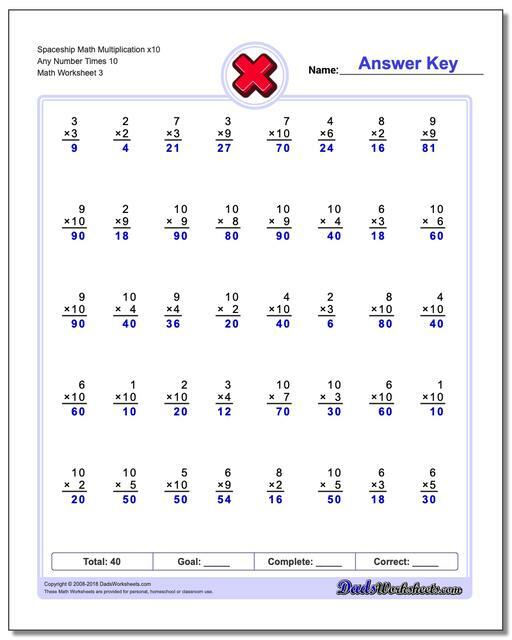 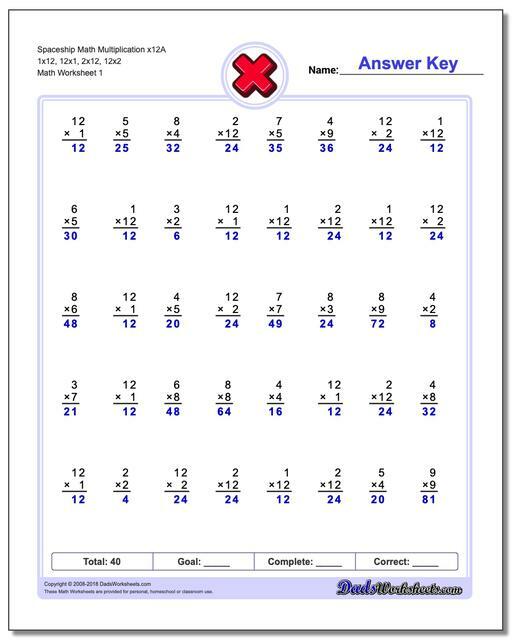 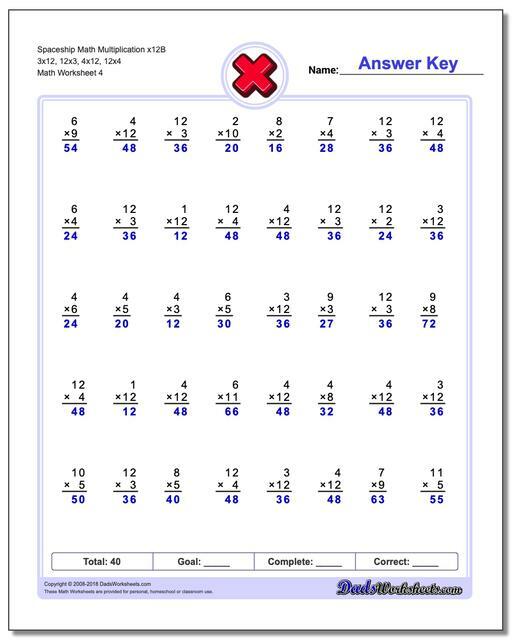 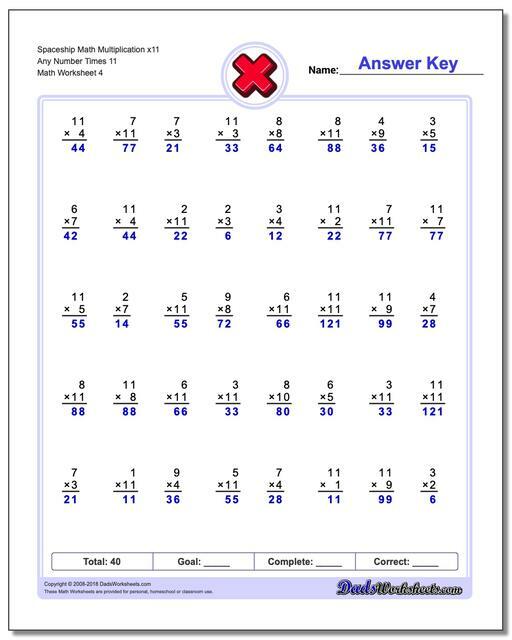 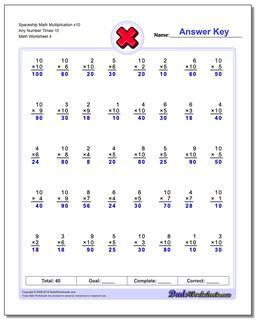 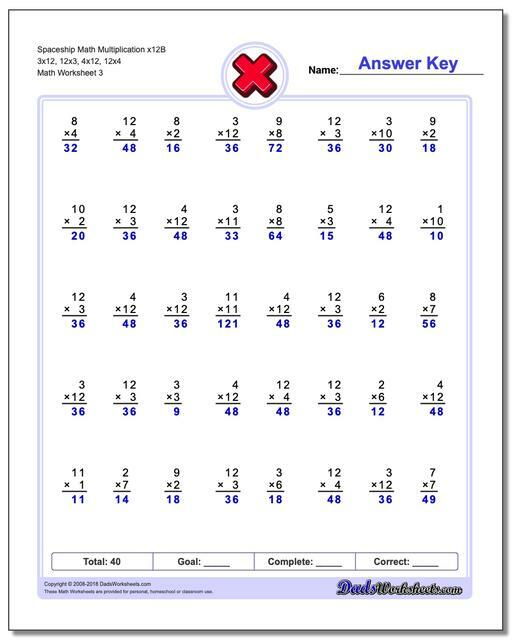 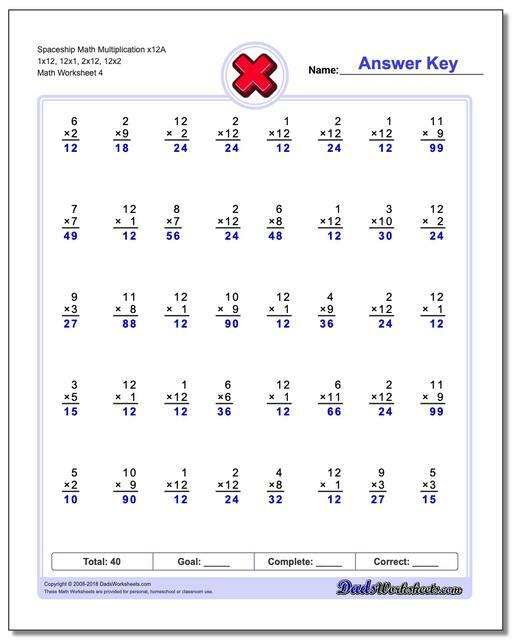 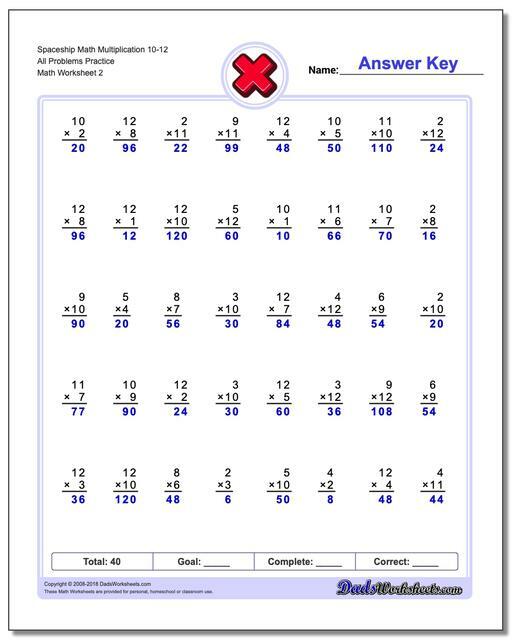 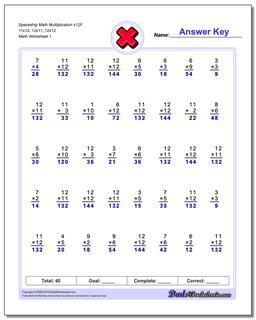 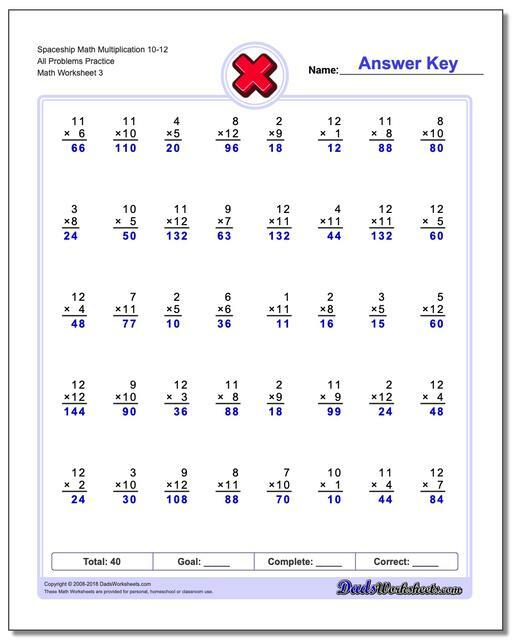 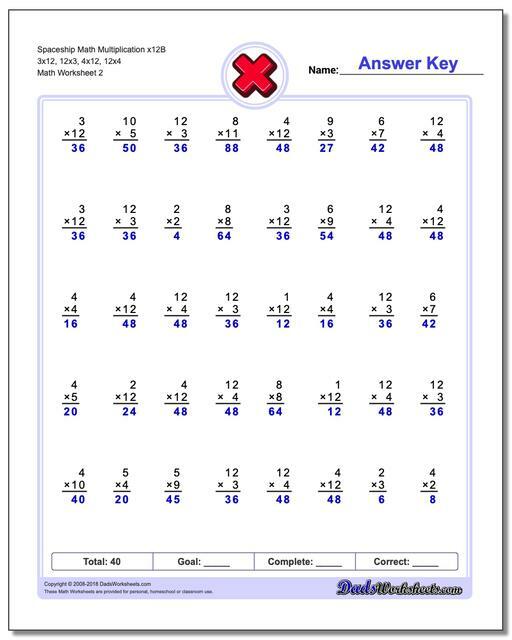 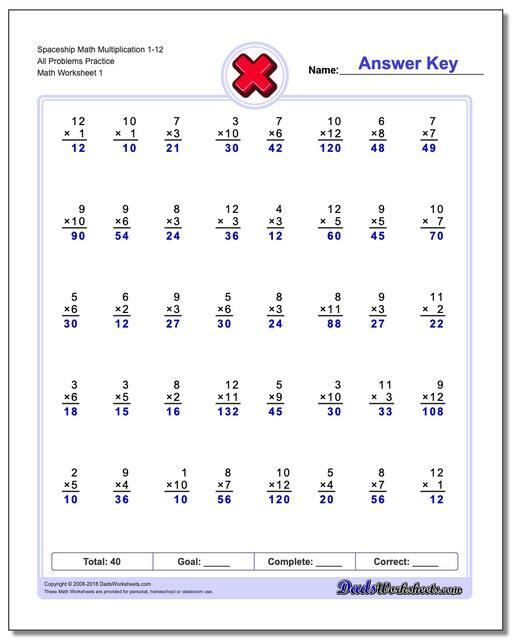 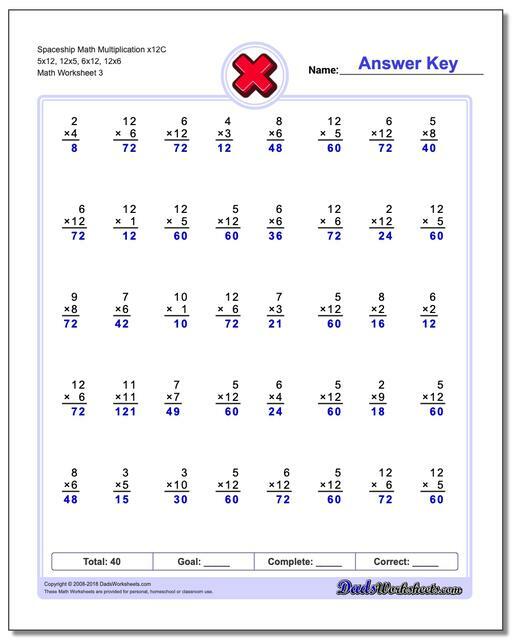 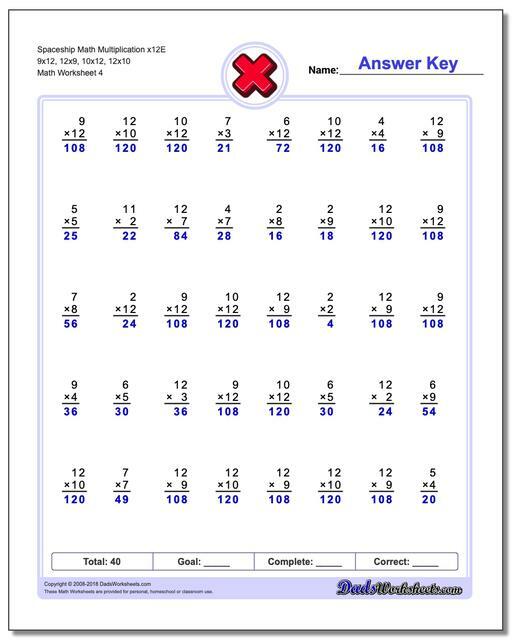 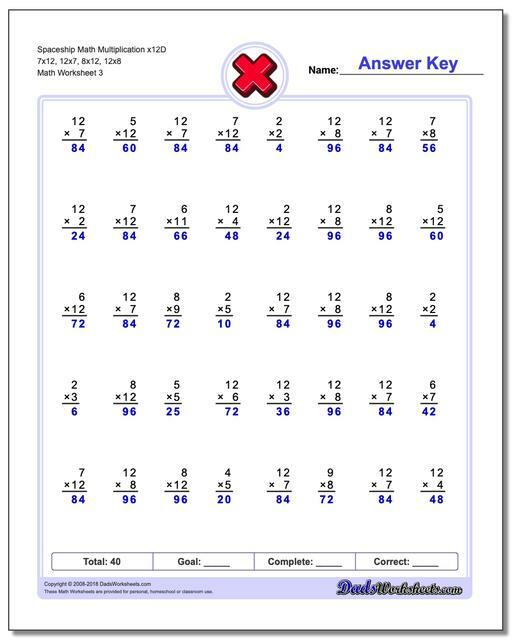 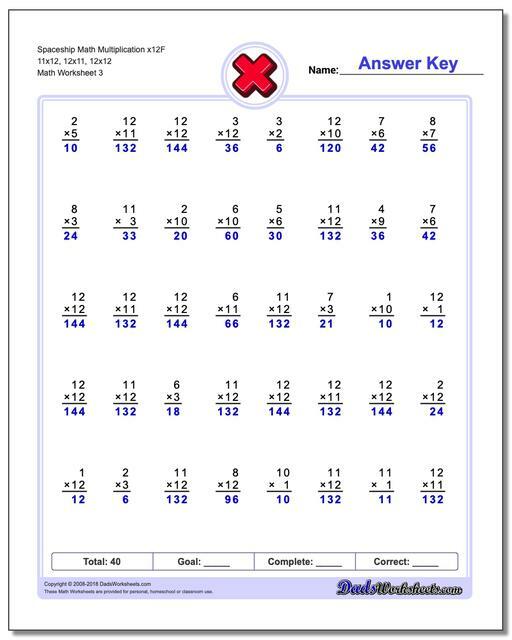 These multiplication worksheets extend the Spaceship Math one minute timed tests with the x10, x11 and x12 facts. 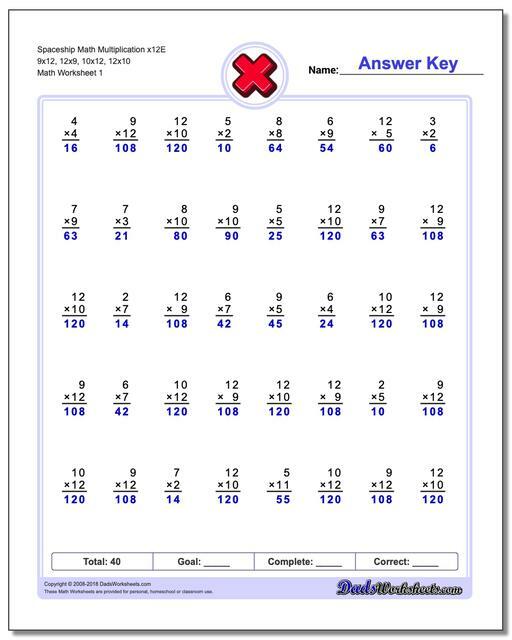 Even if your school isn't practicing multiplication past single digits, these are valuable multiplication facts to learn for many time and geometry problems. This series of multiplication worksheets adds the times 10, times 11 and times 12 facts to the mix of multiplication facts worksheets. 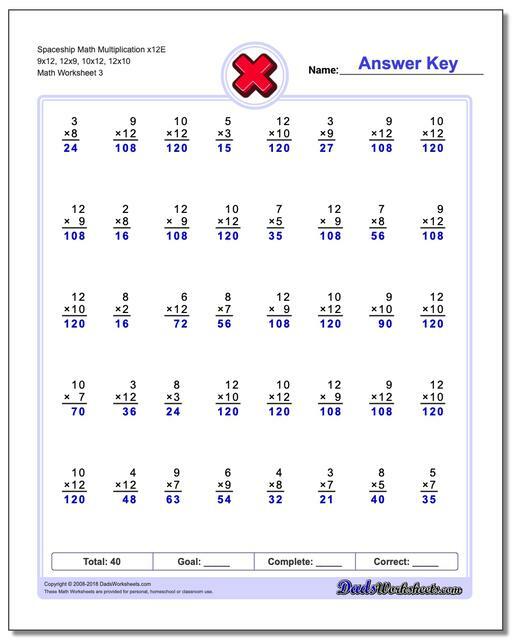 Adding these worksheets to the Spaceship math practice set will extend the range of multiplication facts learned all the way through 12x12=144. 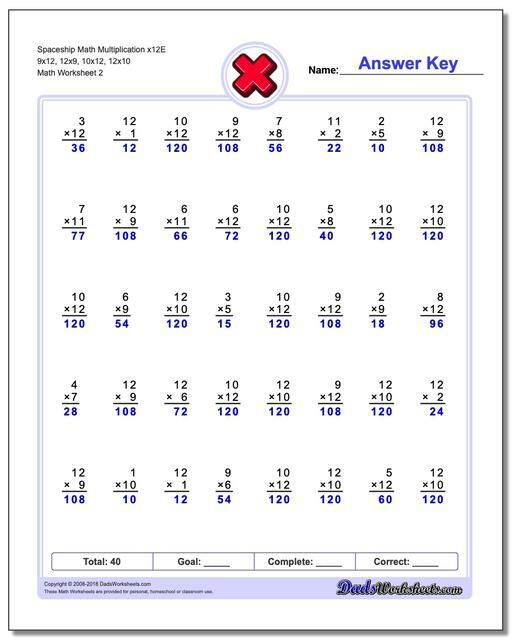 While learning these facts initially may seem overwelhming, continuing with multiplication practice through these problems has value in many situations. 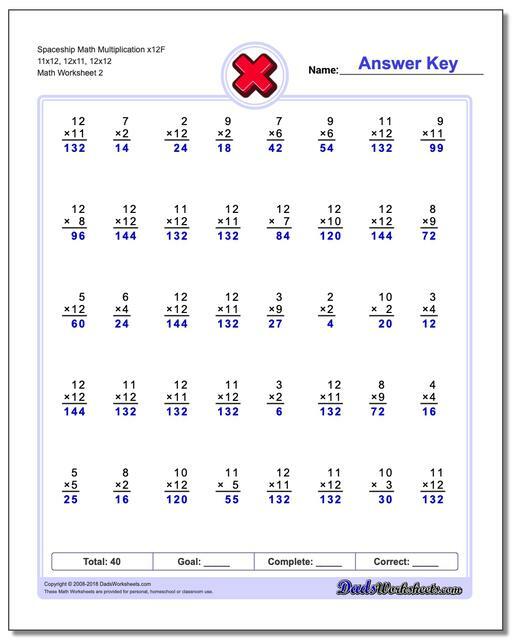 The x12 facts play an interesting role in many fractions and denominators, and also fit interestingly with units of time since twelve is a multiple of 60. 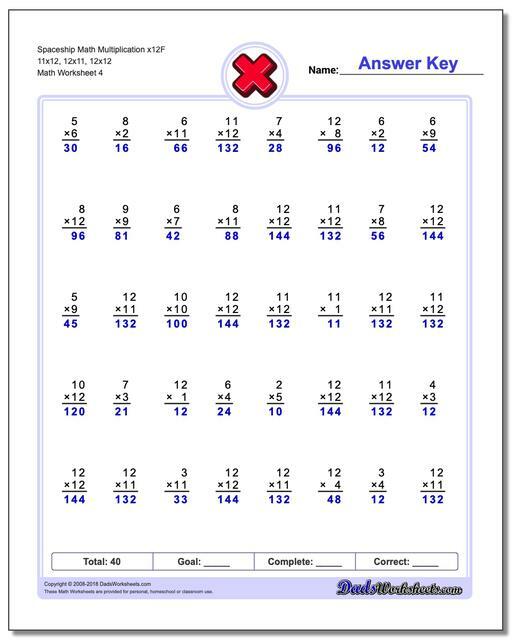 Practice with these will also prepare for SAT questions that deal with dozens or other similar problems.